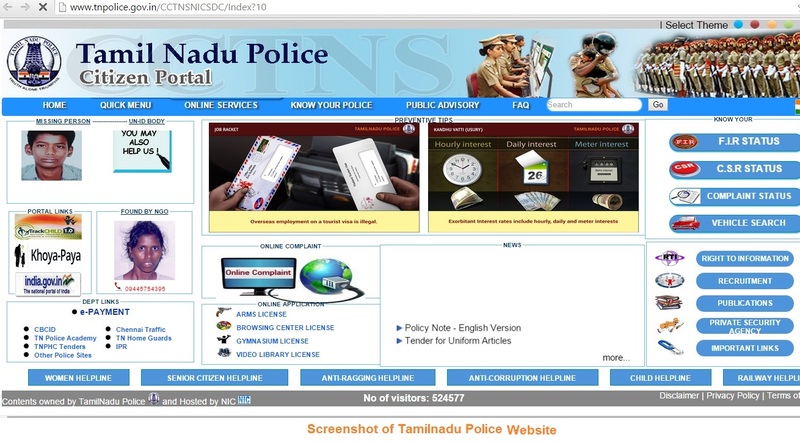 Tamilnadu Police Official Website has been modernised. New features have been added. Now the website looks pleasant. 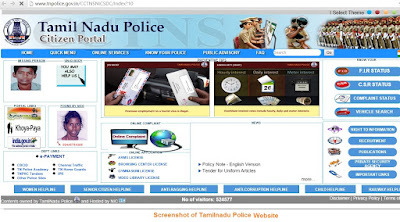 What are the Online Services in the TNPolice Website? People can file Online Complaints through TNPOLICE.GOV.IN website. People can know Complaint Status / FIR Status / CSR Status etc. There are list of Helpline Numbers like Police Control Room (100), Fire Control Room (101) etc are made available. Important Officers contact numbers also made available for the Public.